Benefit from full teacher’s attention by having the individually-designed course. An individual course is designed to meet your very specific needs in studying the language and is created to make it ultimately tailored for your unique perception and pace of learning. The teacher’s attention is 100% focused on one student giving him maximum help, support and corrections. 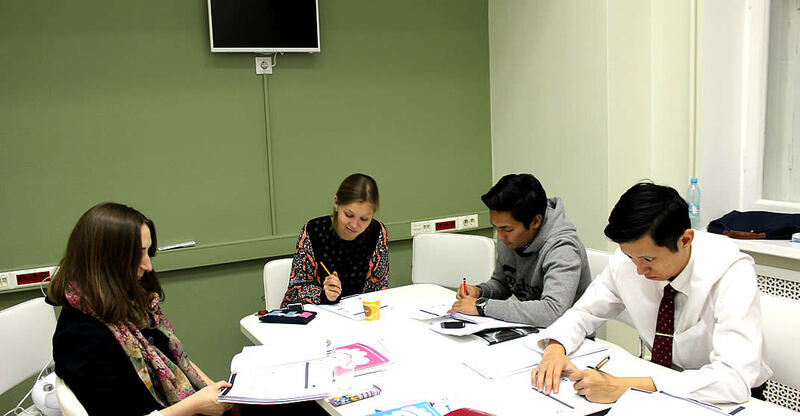 Such format of studying provides an individual approach in teaching the language and giving the most various speaking practice at all stages of the lesson – starting from the placement test up to the final lesson we carefully trace your progress and bring all necessary extra materials to help our students show the best results. Your individual course is uniquely flexible and is created to allow you as much time to any particular lexical or grammatical theme as you should request. Following your targets of studying the language our academic department will work out a customized program of education that will reflect the most problematic themes personally for you. 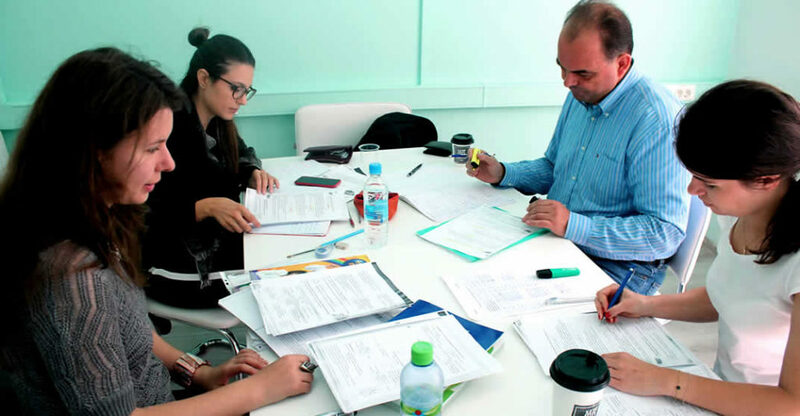 As for the academic issues we still stick to the communicative approach in teaching Russian and pick up the most effective materials that we often employ for out general spoken courses. All your special requests will be considered while making the personal studies program for you. You can focus on some special language areas and pay attention only to your “weak” points while learning. Faster result is guaranteed. The teacher will carefully adjust the program to your needs and follow such pace that will be the most convenient for a student. You’ll gain the advantage of full flexibility on timetable and course content. Each lesson is 45 min. Best choice if you desire to get a full image of Russian Language and Culture. Custom-designed and exclusive Full Immersion course is a combined system of indoor and outdoor classes that allow practicing obtained skills with Russian people! Your tutor will always be nearby in order to guide and help if needed. Such approach to the outdoor component of the course ensures that students feel comfortable and cared for, while exploring the new shores of Language. With our help, students are overcoming language barrier and shyness that may be the obstacles to communication at first. And a nice treat for dessert: you will get an opportunity to explore St. Petersburg! Cafes, shops, cinema, historical sightseeing- all that is implemented into the course! Graduated from Leningrad State University, English and French faculty. Has been working for Glory School since 2009. A native speaker teacher of English from the USA. Graduated from Webster University St. Louis, Missouri (USA), English, Anthropology & Philosophy. Certificate of Teaching English as a foreign language. Has been working for Glory School since 2012. Graduated from State University in Pushkin, the faculty of foreign philology. Recently has been successfully qualified as a teacher of English. Has been working for Glory School since 2013. Graduated from Leningrad State University, the faculty of foreign languages. Has been working for Glory School since 2017. A qualified teacher of English. Graduated from Pedagogical Gertsen University, successfully proved CPE certificate. Has been working for Glory School since 2014. A qualified teacher of English. Graduated from Pedagogical Gertsen University, the faculty of applied linguistics. Has been working for Glory School since 2015. A native speaker teacher from the USA. The University of Texas at Austin (USA), English and Literature. 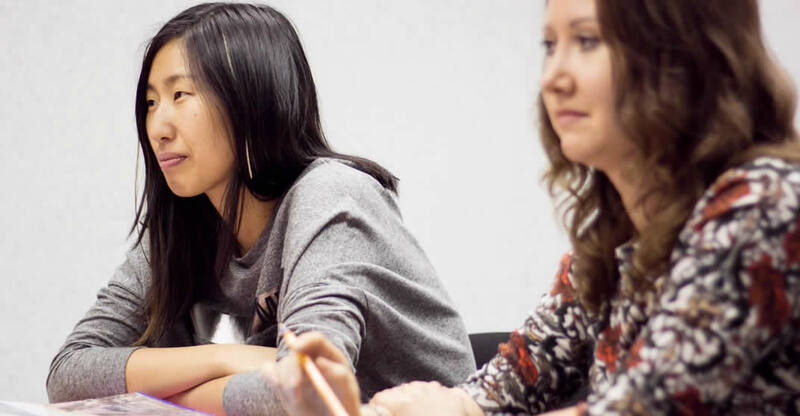 Certification in English Language Teaching to Adults (CELTA). Has been working for Glory School since 2011. Has been working for Glory School since 2016. Graduated from Saint Petersburg State University, the faculty of foreign languages. Graduated from the Northern Arctic Federal University, Faculty of Foreign Languages. Has been working in Glory School since 2017. "My main task is to arouse students' interest in the language and inspire them to work independently. The immersion in the culture of the language as well as the regular practice are the key to the success." A qualified teacher of English. Graduated from Leningrad State University. Has been working for Glory School since 2018. Graduated from Siberian Federal University, Faculty of Philology and Language Communication. "The most important thing for me is an individual approach to each student based on an analysis of personal interests and preferences. And I try to make each lesson as interesting, useful and productive as possible." Need help in choosing a program?